Welcome, this week read the results of some new academic research which reveals that napping boosts brainpower in preschoolers and some Christmas craft ideas to decorate the walls of your service and help build a festive atmosphere. Finally, we'd just like to say thanks so much for all your support this year. Our newsletters will resume in February 2014. Happy Holidays. 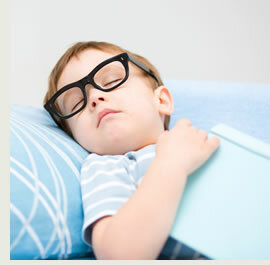 Napping during the day strongly supports learning in preschoolers by enhancing memory according to new research from the University of Massachusetts Amherst. Sleep researchers have shown that children who napped performed notably better on a visual-spatial task in the afternoon after a nap than those who didn't sleep. 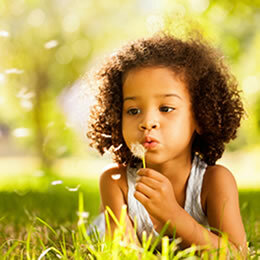 More than 40 preschoolers were involved in the study and associate professor of psychology and neuroscience at the University of Massachusetts Amherst Rebecca Spencer said the results indicate that naps are critical for memory consolidation and early learning. 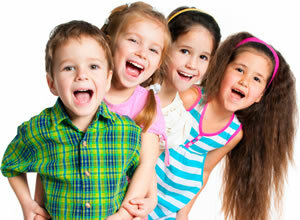 "Our study shows that naps help the kids better remember what they are learning in preschool," said Professor Spencer. Professor Spencer suggests the findings, which are published in the current issue of Proceedings of the National Academy of Sciences, support the importance of including naps as part of the daily routine in preschools. With Christmas just around the corner, and many shops already displaying embellished window displays, we thought it might be time for some seasonal craft ideas. Many of these projects will make lovely decorations for the walls of your service, while others can be taken home by the kids as reminders of a busy and productive year. Reindeer gift bags An all ages activity which can be used to store any end of year treats you have in store for the children. Antler headbands If you are planning an end of year concert these simple headbands could be a great costume idea. Christmas gum leaf A truly Australian craft idea which will look lovely hanging from the branches of a Christmas tree. Christmas shapes Great for very young children this activity hones fine motor skills such as snipping and pasting. Snow globes Adult supervision is required for some parts of this project but the results are fabulous and can easily be tailored to the Australian environment (sand globes anyone?). Snow people This furry and sticky activity is suitable for even the youngest children and will result in a swarm of un-meltable snow people. Paper snowflakes Genuinely simple and very fun this project is suitable for kids at every age. Consider creating a wall display with the impressive collection of snowflakes you are sure to end up with. Christmas stockings Pre-made Christmas stockings are relatively cheap and they can be decorated with all kinds of pom poms, glitter and collage materials. Santa collage Another collage idea which relies on small pieces of scrap paper and other interesting textural craft materials to create a seasonal Santa. Christmas trees Green icy pole sticks and tinsel form the basis of this simple activity which will be popular with kids of all ages. These Christmas craft ideas were sourced from spoonful.com, kidspot.com.au and activityvillage.co.uk. We've had a huge year at CareforKids.com.au, which started off with our weekly format newsletters and we've now topped a whopping three million visitors. You've been incredibly supportive all year and given us great feedback on all our articles and issues. 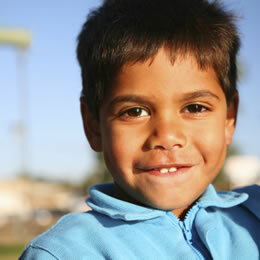 Parents have shared thier experiences in using your services with over 5000 ratings posted. We'd like to say a big thanks for all your support. 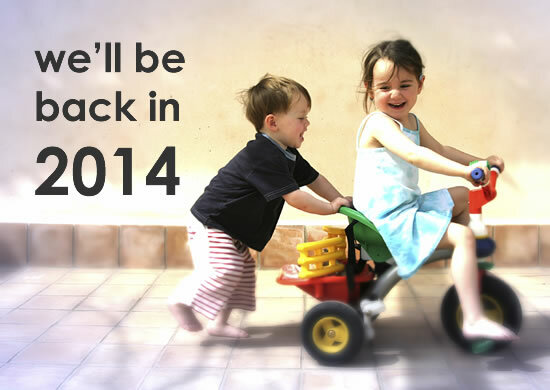 We hope Santa brings you everything you wish for and we'll be back with our weekly updates in February 2014.